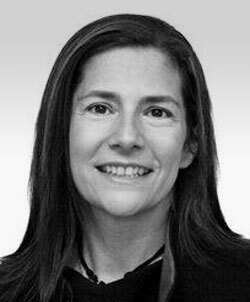 Ana Garicano Solé is a partner at Sagardoy Abogados, which is a member firm of the Ius Laboris Alliance and one of the leading law firms in Spain. The firm specializes in employment law, employee benefits, pensions, social security and immigration. Ms Garicano Sole has been exclusively dedicated to immigration law since she joined the Bar in 2001.She now leads her firm’s immigration practice, consisting of a team of 14 professionals, providing full services to both corporate and private customers. The evolution of the Spanish legal migration system has enabled Ms Garicano Sole to become an expert witness on the regulatory tools governing the incorporation into the Spanish labour market of foreign employees and has enabled her to build strong relationships and credibility in the field. Ms Garicano Sole has lectured on transnational labour issues at the Universidad Carlos III of Madrid, and is a frequent speaker at international conferences including those of the International Bar Association (IBA) and the American Immigration Law Association (AILA). ​Lawyer’s profile on firm’s website.